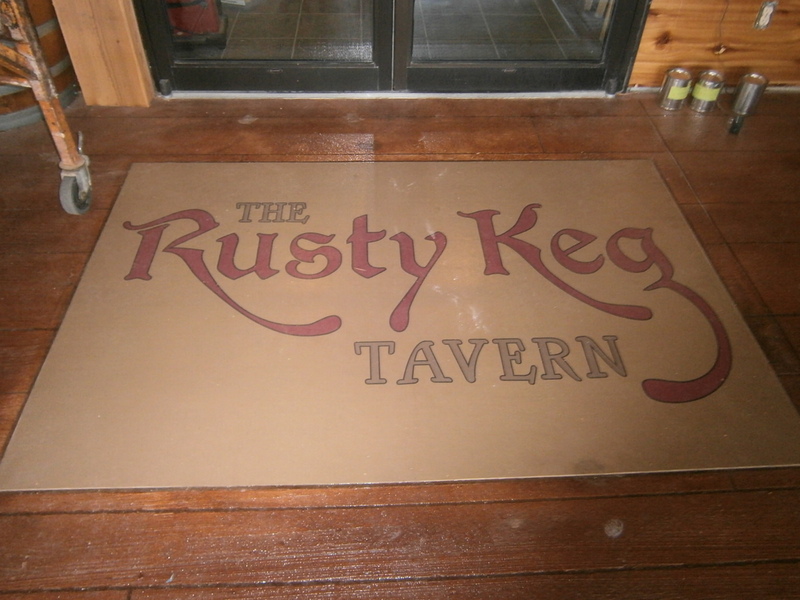 Columbus Dispatch Spring Home and Garden Show in late February and early March which is where we made the contact for a 3500 square foot decorative Wood Stained Concrete (WoodCrete) floor job at the Rusty Keg Tavern in Washington Court House Ohio. 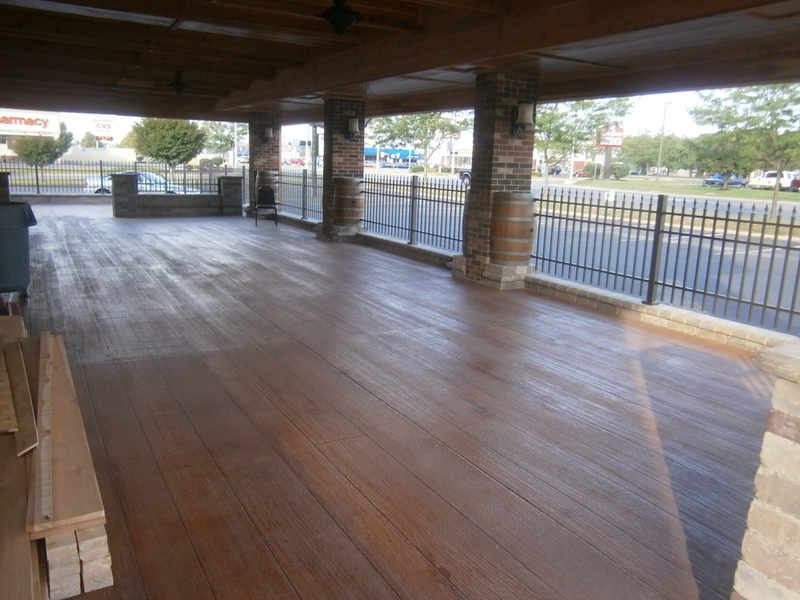 We started this Wood Stained Concrete (WoodCrete) job on Monday, June 17, 2013 and completed it on Saturday, June 22, 2013. Approximately 850 sq.ft. 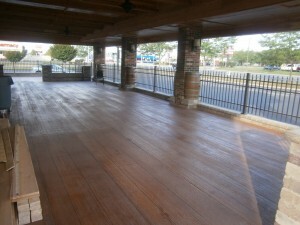 was existing 37+/- year old concrete and the owner had an additional 2650 sq. ft. of new concrete poured in late April. It took two and a half days to prepare the job site and concrete which included concrete repairs, control joint filling, taping off, covering, papering, saw cutting, grinding, muriatic acid washing and power washing. On day 3, the entire surface was grout coated black and taped off for the length and width planks desired. This is done to resemble the joints between and at the end of the planks. On day 4 the buff colored texture spray was applied over the entire surface. 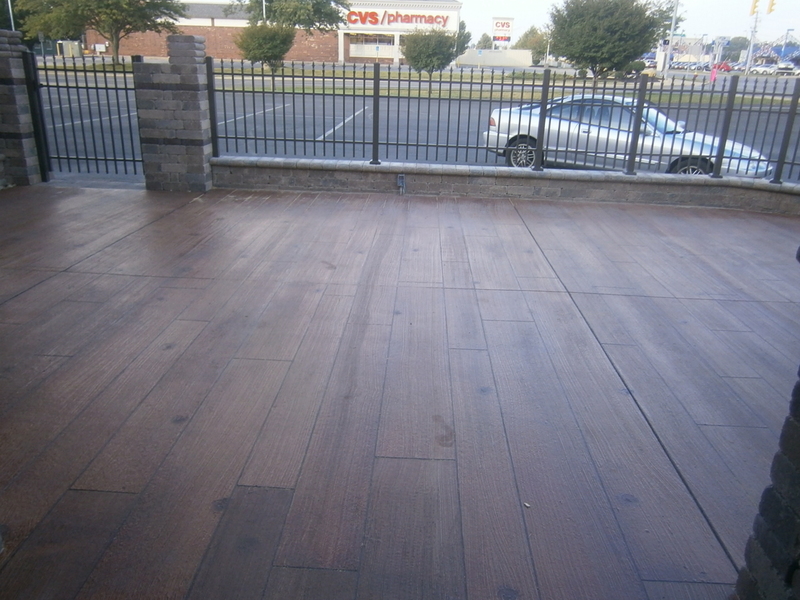 While the texture spray was still wet, it was swept with a stiff bristle broom to simulate the wood grain and knots that were added with regular paint brushes. Once the texture spray was set the tape, it was removed and the surface was scraped and swept. On day 5, the entire surface was stained. 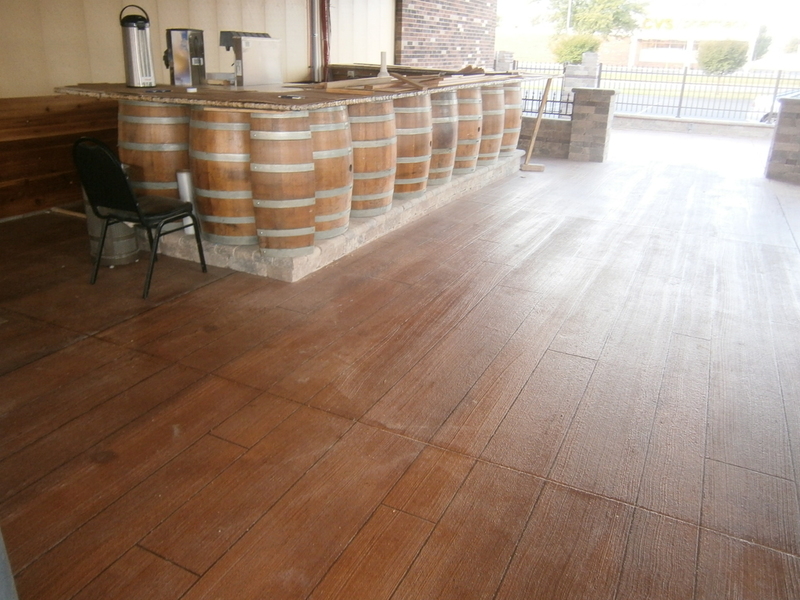 As the Wood Stained Concrete (WoodCrete) texture was being applied, it was brushed to give it variations to the color like what you typically get with wood floors. The Rusty Keg logo was installed and the job was sealed multiple times. The 6th day the job site was cleaned up, all paper, tape and all protective coverings removed. There were 9 different young men that participated in this project and it took approximately 300 man hours to complete this job.